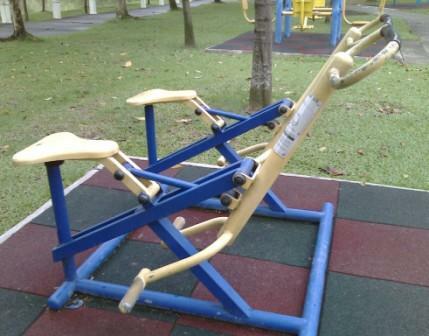 I find that a number of outdoor exercise equipment can cater for those with health problems, arthritis, elderly and with slight immobility problems. It strengthens cardiac and pneumonic function, developing the strength of muscles in the 4 limbs, waist, abdomen and back plus improving the coordination between both hands and legs. Good for healing, bending and stretching hindrances in wrist, elbow, hip joint and knee joint and aches in limbs, waist and back.